I know it’s February and it was just Valentine’s Day, but I haven’t posted in a while so I wanted to say I hope everyone had a wonderful Holiday season! I took a little break from blogging; not intentionally, but it always tends to take a back seat to everything else when I have a busy schedule. Thankfully things are starting to calm down a bit and I’m getting back into my normal routine. Evan and I traveled back to Minnesota for Christmas and we took little Miss Toast on her first plane ride. I was a little nervous about flying with a puppy, but she did great. 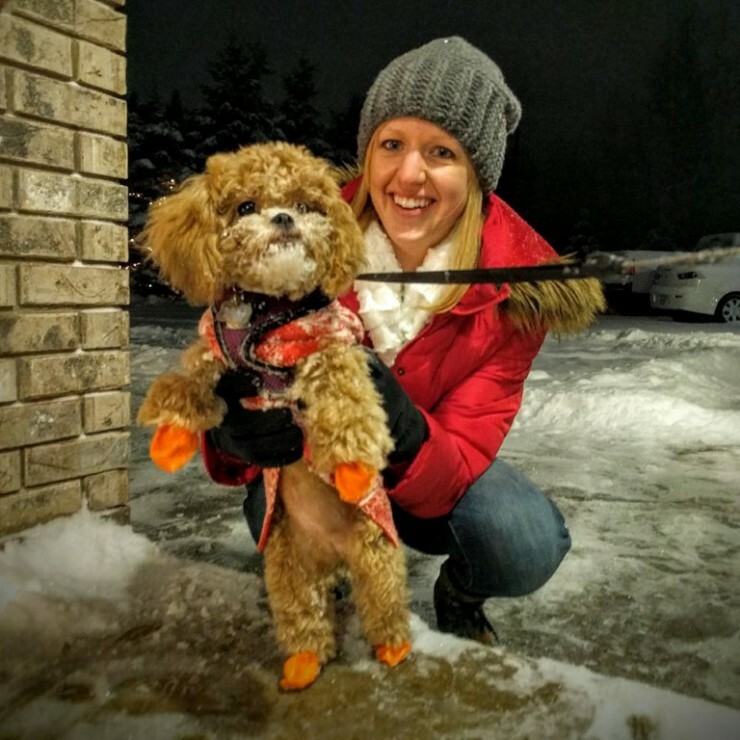 It was fun introducing her to my family, seeing her interact with my sister’s kids and watching her play in snow for the first time. I think she really enjoyed it. And yes, those are balloons on her paws; they helped keep them dry! I’m really glad we were able to make the trip home and spend Christmas with my family. It’s definitely not as easy to spend the weekend up North like it was when we lived in Minneapolis, so my visits have become less frequent; I hadn’t been back to Minnesota since June for my 10 year class reunion and the Ashley Tournament. I’m not going to lie, I wasn’t looking forward to dealing with winter weather again, but thankfully, it wasn’t as bad as I was expecting. Although it was chilly and snowy, we had clear roads for traveling and no below zero temperatures! Seattle winters are definitely not perfect, but we’ve been pretty spoiled with mild weather. It’s funny how fast you get used to slightly warmer weather and how cold 30 degrees feels now! Even though our winters here are nothing like Minnesota, I still find myself craving warm, comfort food on chilly days. 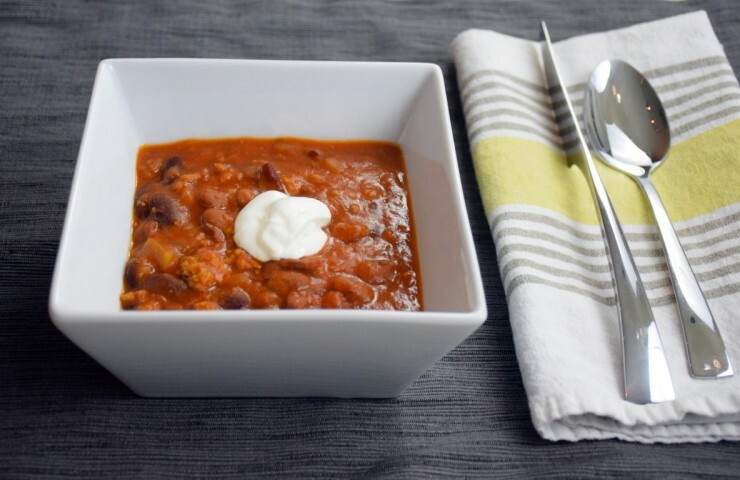 Chili is one of my go-to winter recipes. 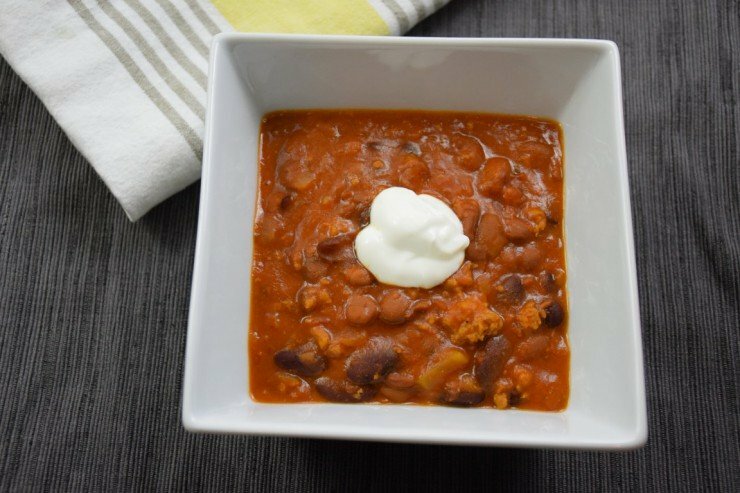 This recipe comes from my mom and is by far the best chili I’ve enjoyed. I have fond memories of eating this as a kid, and to this day, I love making a big batch and letting it simmer on the stove all afternoon. The recipe itself is very quick and easy to throw together, as long as you don’t mind chopping some celery and onions, and using a can opener. 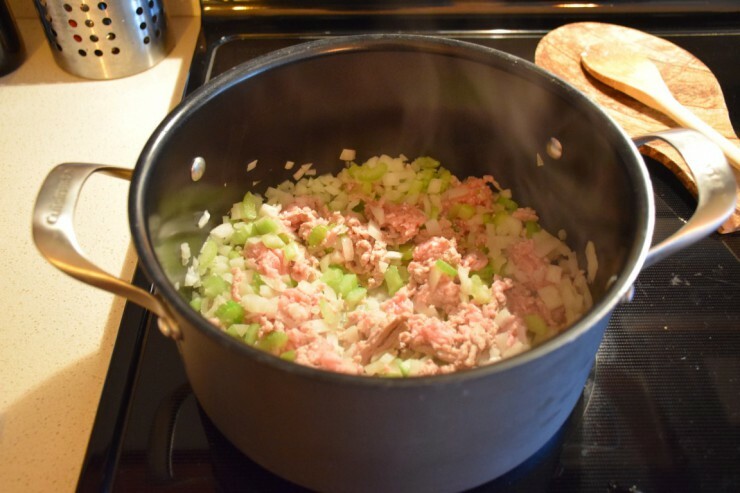 In a large stockpot, brown the ground turkey with the diced onion and celery and minced garlic. 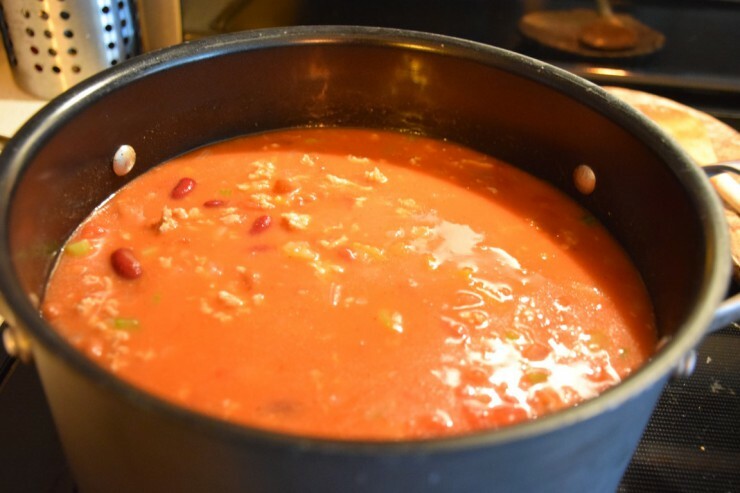 When the turkey is fully cooked, slowly pour in a family-sized can of tomato soup and 3 cans of chili beans (or kidney beans). 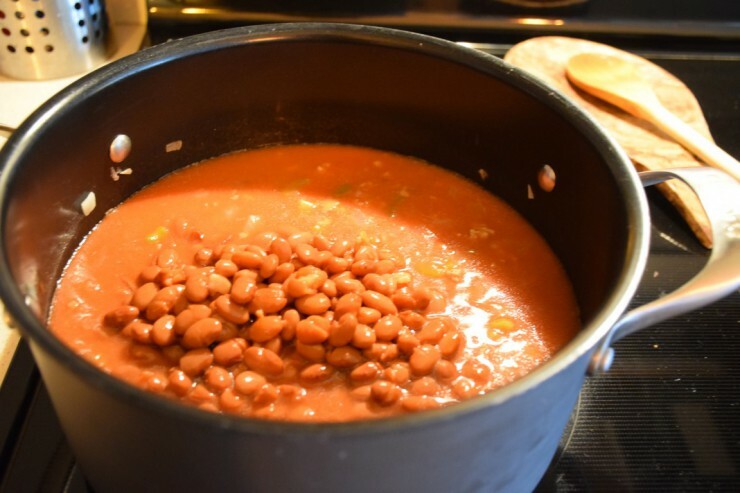 Be sure to rinse and drain the beans before adding them to the pot. Also add in 1 can of diced tomatoes and chiles. Stir to combine, then add in 1 tablespoon ketchup and 1 tablespoon brown sugar. Season with salt, pepper and garlic powder. Add in chili powder to meet your desired spice level. Bring to a boil, then reduce the heat and let simmer for at least 1 hour. If you have the time, let it simmer for several hours; the longer you can simmer the chili, the better! When serving the chili, top each bowl of with a dollop of sour cream and/or shredded cheese. Enjoy immediately! In a large stockpot, brown ground turkey with diced onion, diced celery and minced garlic. When turkey is fully cooked, add tomato soup, 3 cans of beans and tomatoes and chiles. Stir to combine, then add in ketchup and brown sugar. Season with salt, pepper, garlic powder and chili powder. Stir again, then bring to a boil. Reduce heat and let simmer for at least 1 hour. The longer you can let it simmer the better! Serve each bowl with sour cream and/or shredded cheese.